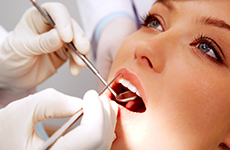 In 1998 Dr.Nayer moved to the red sea managing Marsa Alam dental clinic for 2 years. In 2000 he settled in Hurghada and started to prepare his own dental clinic which was launched in 2001. By maintaining high standards of dental treatment throughout the years we became one of the most well recognized dental clinics in the red sea region. Providing services for red sea residences as well as tourists who would like to have dental treatment while enjoying our beautiful sun and sea, we strive to maintain our strict standards of care. The use of latest chemical & digital sterilization & disinfection control system for the safety of the patients and his clinic staff is strictly respected. Working only with appointments which have to be respected is of essence as Dr. Nayer and his team give you their time, care and best treatment planning. Honesty in medical work and fixed prices for everybody are giving full confidence & trust to the patients.